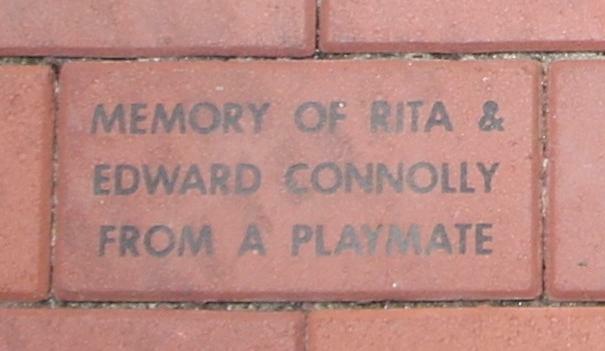 Rita Ann Connolly of 51 Eastview Street, Hartford, was born March 25, 1931 in Hartford, daughter of Margaret J. 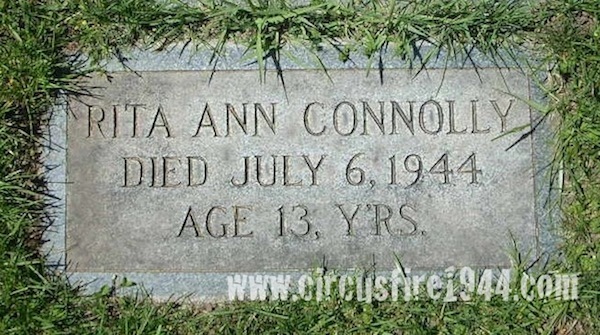 (Higgins) and Edward F. Connolly, Sr. Rita and her brother Edward, Jr. were found dead at the circus grounds after the fire on July 6, and were buried at Mt. 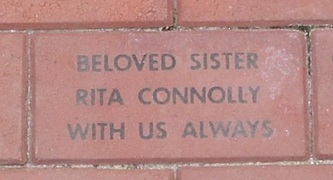 St. Benedict Cemetery in Bloomfield after services at their home and the James O'Brien Funeral Home. 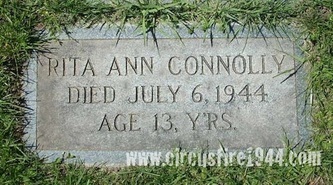 She is survived by her parents; her brother Richard H. Connolly, 17; and her sister Mary Elizabeth Connolly, 14. 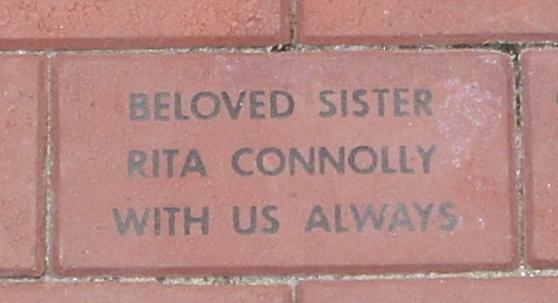 Body #2163 was identified as Rita Connolly at the State Armory by her brother, Richard, on July 6. 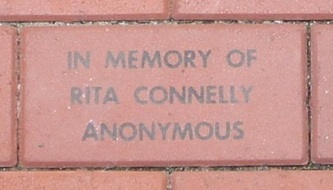 Miss Connolly's estate was awarded $7,500 by the arbitration board. 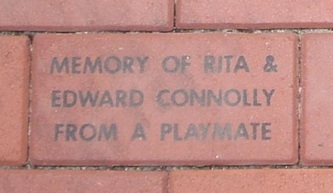 Prior to her death, Rita was a student at the St. Augustine School in Hartford. 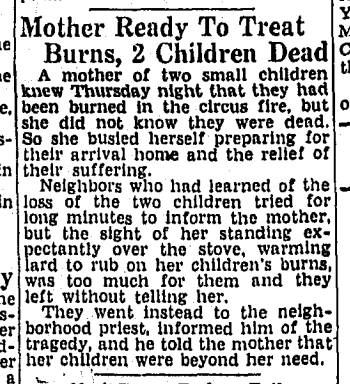 Story from the July 8, 1944 Hartford Courant, likely referring to Edward and Rita Connolly's mother.